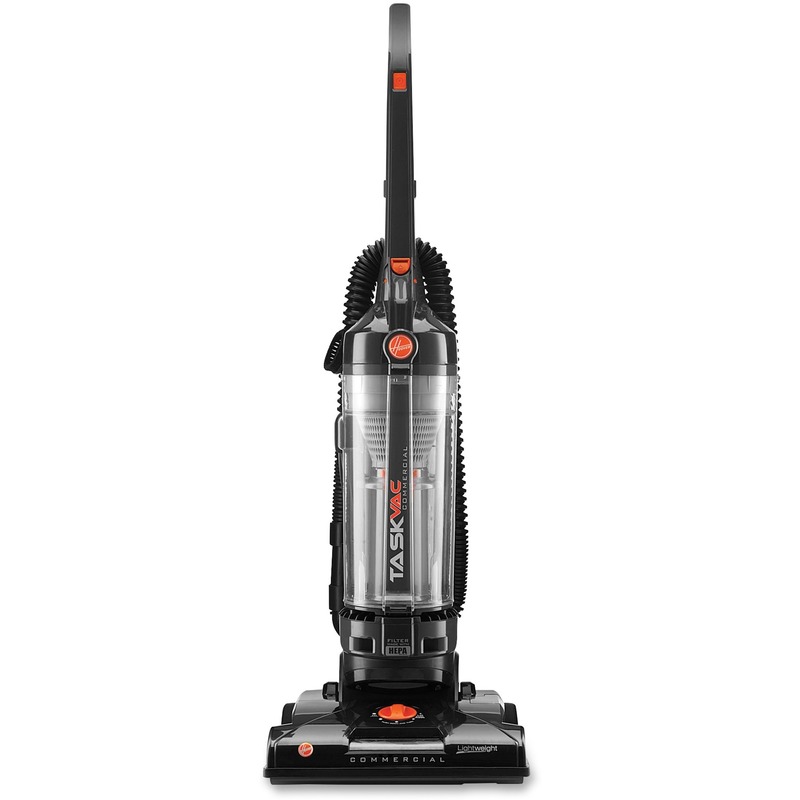 Hush 15"" Bagless Upright Vacuum features a HushTone mode with quiet option to make it ideal for daytime cleaning. Twin Chamber bagless system helps maintain maximum power and traps debris and dirt in a sealed chamber for convenient disposal. 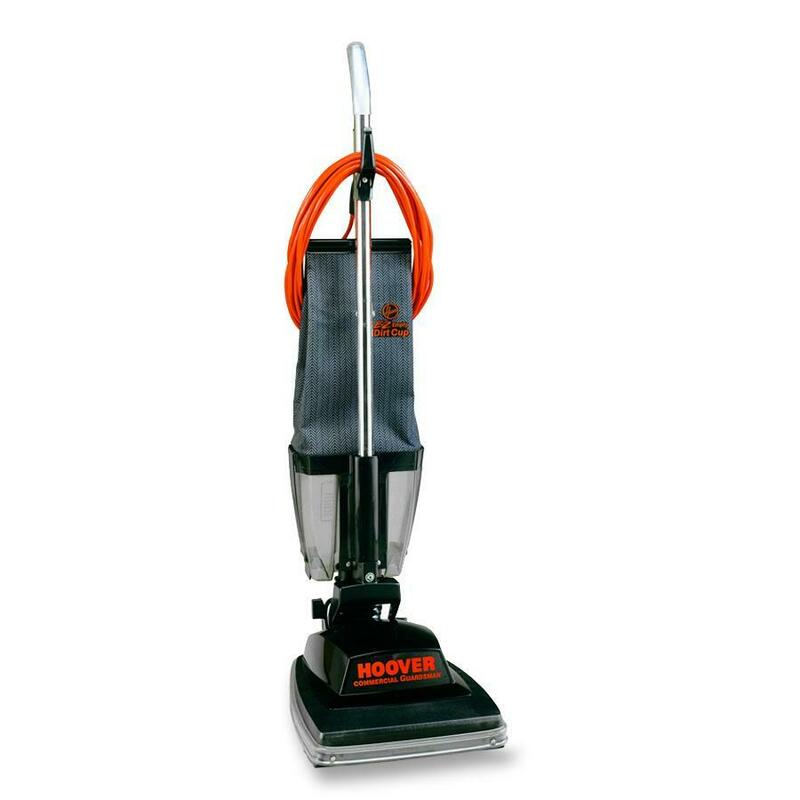 Multispeed power surge switch is designed for use in heavily soiled or high-traffic areas where you need enhanced power for deep cleaning. Use toggle switch to operate unit in standard mode. 15"" nozzle width gets the job done faster. Nonmarking furniture guard reduces nicks and scratches on walls and baseboards. Steel rear axles and handle fork reduce maintenance costs with increased durability. 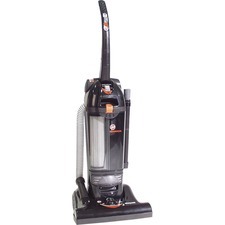 Upright vacuum also offers a powerful 12 amp commercial motor, manual three-position height adjustment, HEPA Filtration, large rear wheels, 35' quick-change cord and easy-access cleaning accessory pack. Onboard tool set includes air-powered hand tool, crevice tool, dusting brush and upholstery tool.